You Can Do It! You Can Homeschool! Meet homeschool mom Meredith Curtis. She is convinced that parents make great educators for their own children. Is it wonderful, amazing, fantabulous? Meredith has several books to equip you to educate your children at home. Joyful and Successful Homeschooling is the ultimate homeschool handbook, the "everything you ever wanted to know and more" book on homeschooling. Meet Meredith and her family in the pages to see how they homeschooled five children successfully from birth to high school graduation. Do You Want to Experience Joy & Success in your Homeschooling? Do these things characterize your homeschooling adventure? This book is for those who want to experience a joyful and successful homeschooling journey. 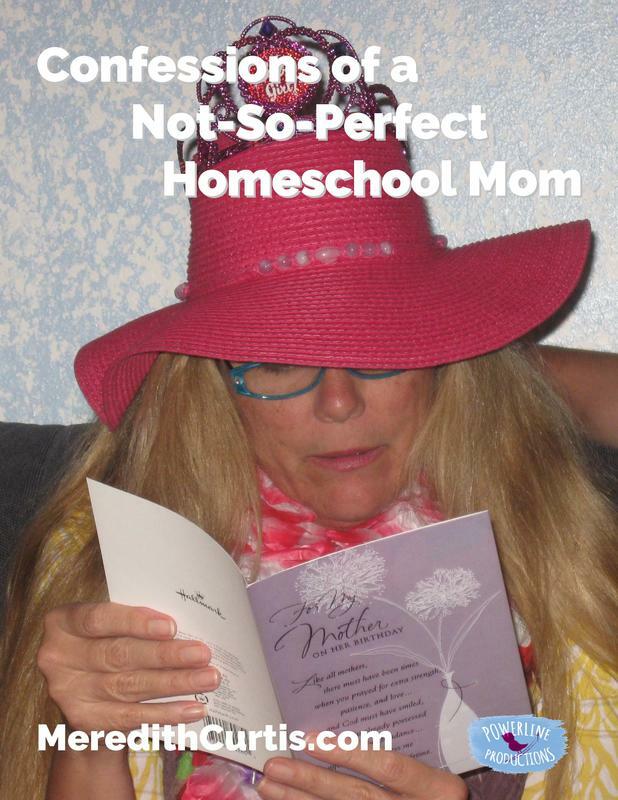 There are no short cuts or easy answers; just honest wisdom and experience from a homeschooling mom of five children who has been homeschooling since 1991. Wherever you are on your homeschooling journey, receive encouragement, ideas, and insights to grow in your calling to teach your children. You can be successful and filled with joy as you teach your children at home! Yes, it is hard work, Yes, there is a lot to plan and teach, Yes, homeschooling can be fun! The lifelong lifestyle of learning is a wonderful experience. 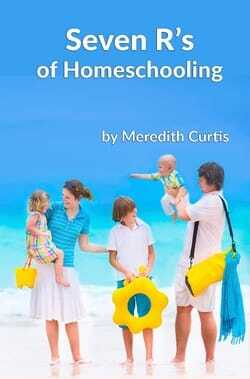 Meredith wants to pass on to you the life lessons she has learned in her years of homeschooling! Enjoy the process of learning and growing as a woman of God while you press on toward the goal of sending godly children out into the world to changes lives one at a time by the transforming grace of God. Homeschooling is great method to raise world changers! This book will help you understand what makes your child tick and how you can use that understand to teach effectively. From organizing your home to teaching history the fun way, from making lesson plans to handling those moments when personalities collide, this book is the only book you need to get you started on the amazing adventure of homeschooling your children. If you are worried about how to teach or what to teach, you can stop worrying. That is covered in this book. After laying out basic principles that work, Meredith tackles each subject. The response to this book, has been wonderful. Moms report increased confidence and excitement about home education when the finish reading. 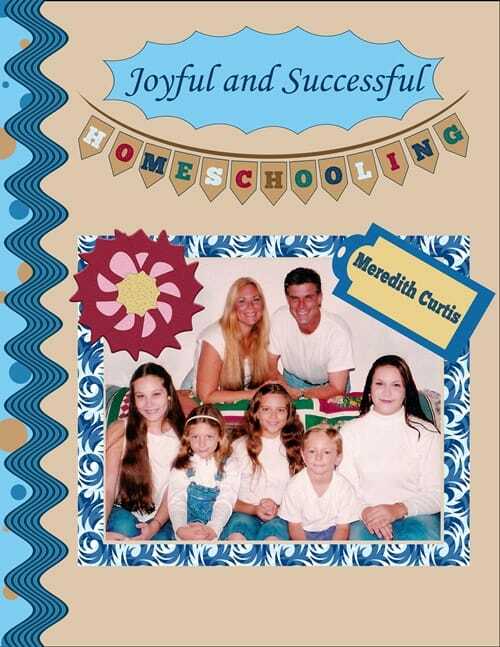 Purchase the Print Book, Joyful and Successful Homeschooling, on Amazon. Have You Ever Tried Doing a Unit Study? Unit studies are a great way for you to teach several different ages at one time. More than that, unit studies are fun! What a great way to learn and laugh together as you make memories that will last a lifetime. Imagine yourself creating a unit study based on living books. You and your children can start each school day by reading aloud from a timeless work of literature. Afterward, there will be things to learn, create, write, draw, make, and do. With an emphasis on living books, Meredith will walk you step-by-step through the process of creating your own unit study. You will find an endless supply of creative ideas and book lists in this book. 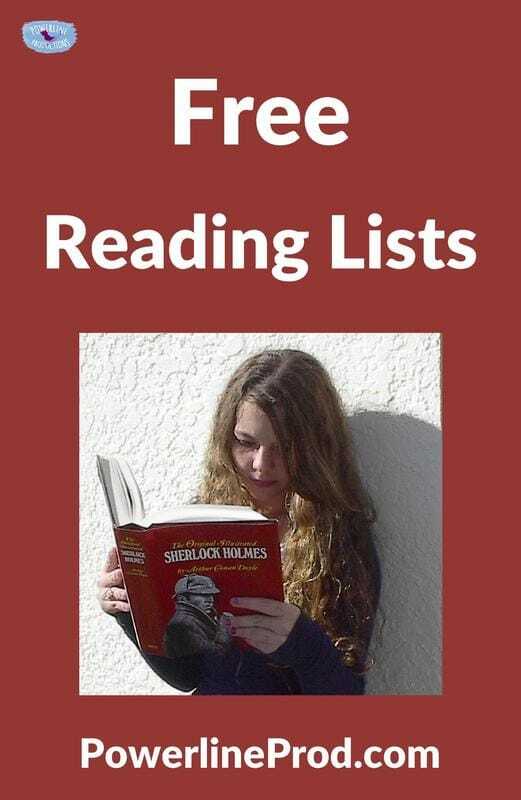 The book lists alone are worth their weight in gold. Learning about the unit study creation process will jumpstart your own creative ideas. If you are thinking about unit studies, but lack the confidence to try them out in your homeschool, grab this book to get inspiration & confidence. Unit studies not only add fun to learning, but are a great way to make lifelong memories with your children! If you are not ready to take the unit study plunge, try adding some creativity to traditional learning to spice things up a bit. These enjoyable experiences will add excitement to your family’s educational adventure. • What is a Unit Study? • Why do Unit Studies work? 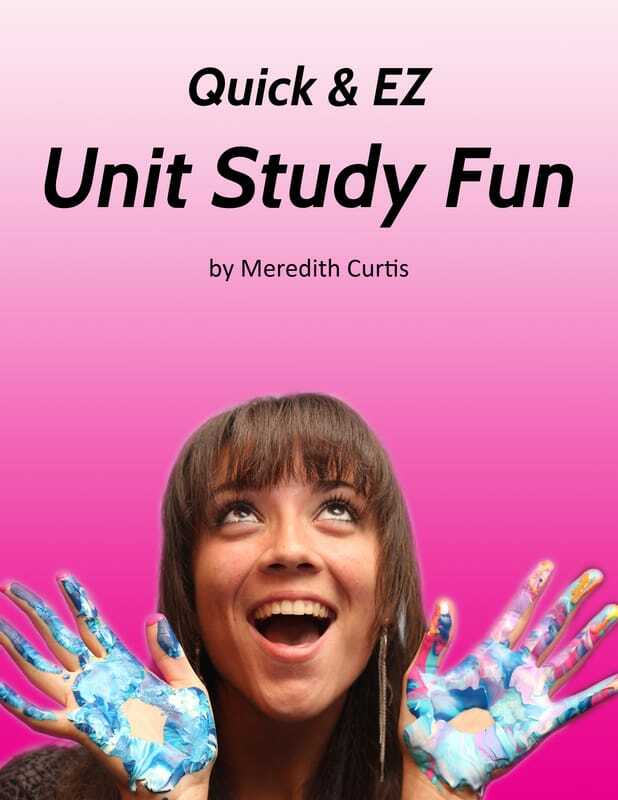 Purchase the Print Book, Quick and EZ Unit Study Fun, on Amazon. Are You Thinking of Homeschooling High School? The moment has arrived! Your teen is finally in high school! Yikes! Where has time gone? Wasn't it just yesterday that you were teaching him to write his name? Now it's time to teach high school and you're not quite sure what to do. It's time to take those dreaded SATs, make transcripts, and prepare your teen for graduation. Can you do it? Of course, you can! Relax! Here's some help from two experienced homeschooling moms. You can have a peaceful, joy-filled, successful high school adventure! You can plan courses ahead and take advantage of spontaneous opportunities using the principles in this book. 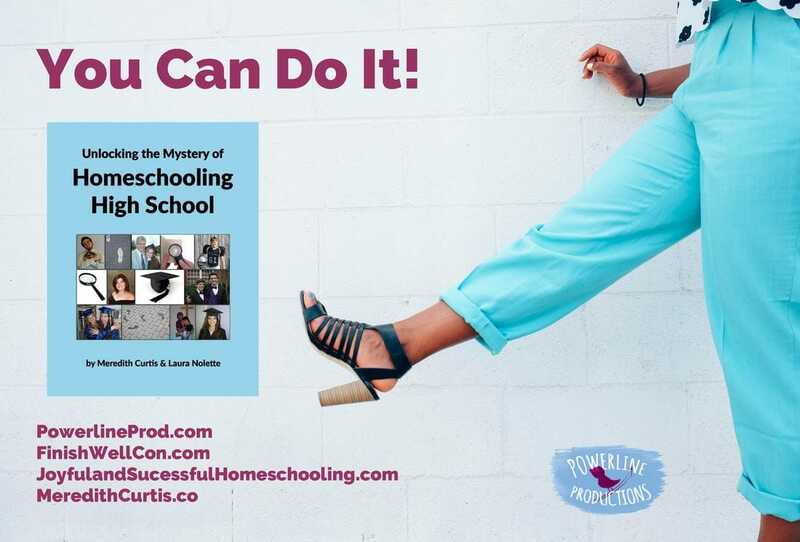 You can send your children debt-free-- Unlocking the Mystery of Homeschooling High School will share how several young people did it! You can make your own transcripts with the step-by-step instructions in this book. Best of all, you can enjoy the high school journey at home! Ready to homeschool high school yet? You can do this! Between the two of us, we have graduated seven teenagers. One has her master's degree and taught freshman English at UCF. Another works at Verizon after graduating with a degree in accounting and systems management. One works at AAA putting his marketing degree to work. Another works at Charisma magazine as a copy editor. Some attended Stetson University, a private college nearby and some attended UCF on scholarship. They defended their faith, proclaimed Christ, and made excellent grades. They stayed plugged into their local and enjoyed healthy relationships with their families. Has it been a smooth, easy road? No, not always. But, we have persevered through every obstacle and everyone in both families agree: Homeschooling High School was the BEST Choice! If you want to homeschool with confidence, then read this book and keep your eyes on Jesus. We can show you the practical stuff and He gives you His Word and Spirit to guide you day by day in the glorious adventure of homeschooling high school. 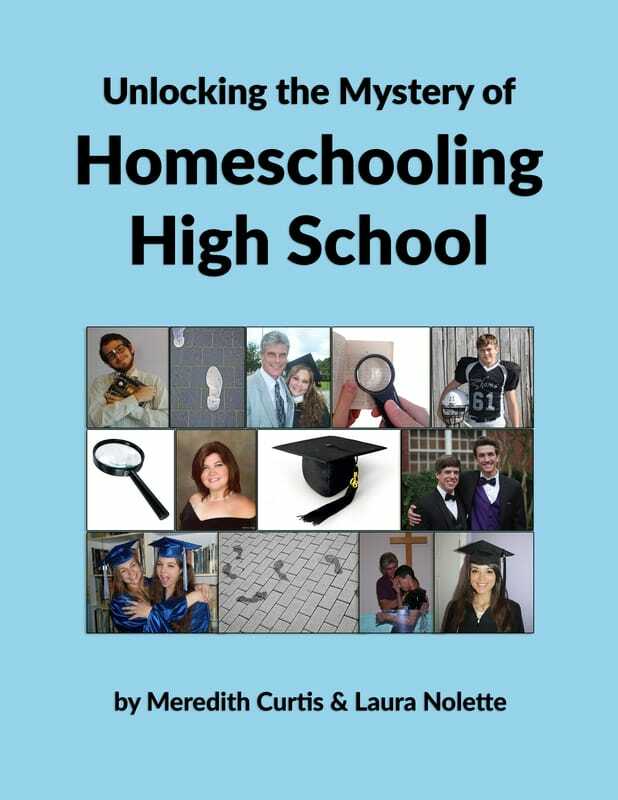 Purchase the Print Book, Unlocking the Mystery of Homeschooling High School, on Amazon. Purchase the E-book at Currclick or PayHip. How can your home be a place of peace and joy? How can you set your children up for academic success? What curriculum should you purchase? Let The Seven R's of Homeschooling help you 'major on the majors' and 'minor on the minors' by showing you where to focus your attention in teaching your children. This book will equip you to foster healthy relationships, instill godly values, and produce fluent readers who communicate clearly, think soundly, and know where to get the information they need. Whether your homeschooling journey has just begun or you are a veteran homeschool parent, this book will challenge and inspire you! With glimpses into a real family where homeschooling works, Meredith shares practical ideas that you can implement in your own home. Let an older mom pass on some experienced wisdom to you. Purchase the Print Book, Seven R's of Homeschooling on Amazon. This book was created to use with Joyful and Successful Homeschooling. As you finish the chapters in Joyful and Successful Homeschooling, use this workbook to record ideas, plans, and dreams. Each section also has encouragment from God's Word. Joyful and Successful Homeschooling: Your Journey Workbook is the companion guide to Joyful and Successful Homeschooling. Purchase the Print Book, Joyful and Successful Homeschooling: Your Journey Workbook on Amazon.